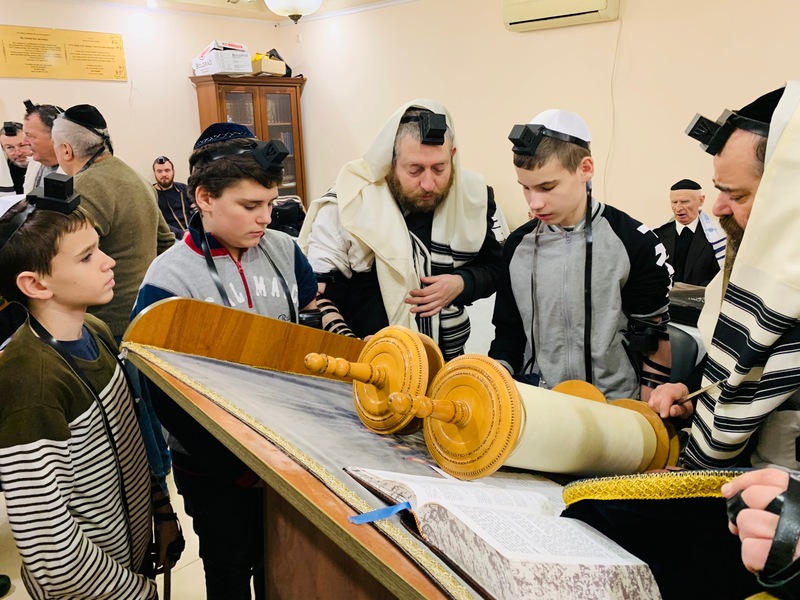 An emotional Bar Mitzvah Celebration was held for three students of FJC’s ‘Or Avner’ Jewish School in the city of Vinitza, Western Ukraine. The ceremony began with Tefillin wrapping at the central Synagogue and JCC by Vinitza’s Rabbi Shaul Horvitz. In attendance were special guests from the Holy Land, as well as Moscow, including the Tefillin donors, Rabbi Tzvi Beck, the Rabbi of neighboring Berditchev, Moshe Thaler, Rabbi Berl Eidelkopf, and Rabbi Yossel Meshi-Zahav. A festive meal was held following, in the spacious new wing that was recently dedicated, adjacent to the JCC. Rabbi Horvitz spoke from his heart and thanked the community’s supporters, the Beck family of Jerusalem, Rabbi Moshe Aharon Rabinowitz, and others, for their unwavering support of Vinitza’s ever-growing Jewish community. Special appreciation was expressed to businessman, Mr. Dov Weintraub for sponsoring the new wing, much to the delight and convenience of the many members of the Jewish community Vinitza.